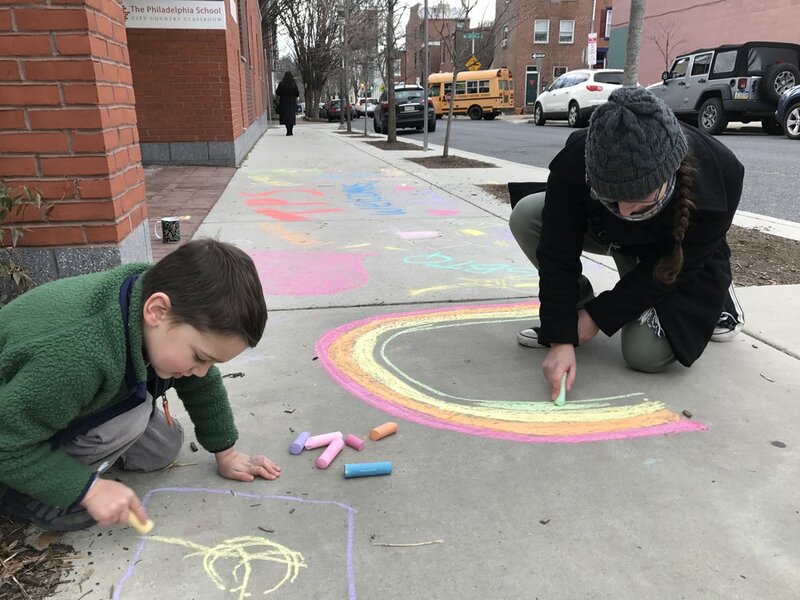 TPS parents organized a sidewalk “chalk-in” (outside both school entrances) on Wednesday and Thursday in response to the government's recent immigrant and refugee bans. At drop-off and at pick-up, our kids were thoughtful and engaged. Their messages were colorful and telegraphed peace and acceptance! Someone even created a “hug spot,” and lots of hugging ensued. Our sidewalks are now covered in warm, meaningful, inclusive messages and drawings. If you didn’t get a chance to experience, please take a sidewalk stroll!